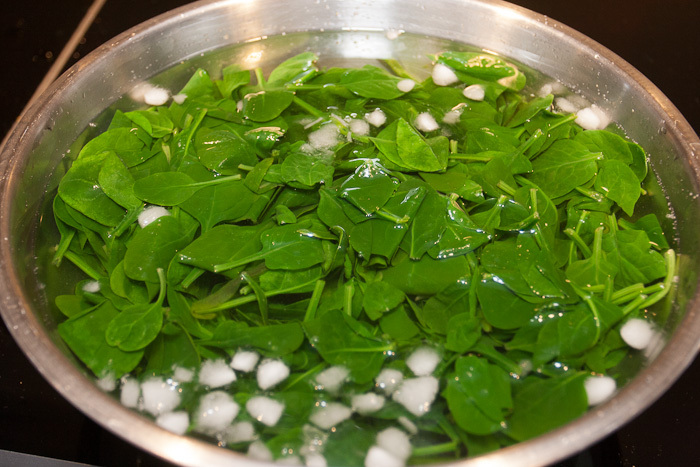 The three leaves that can make any meal look good, smell good and taste bl..dy good!! And what are these three leaves? They are kele ka patta, karipatta and palak patta!! My son, Aniruddh, woke up this morning to go to school and the first thing he said to me was, “Daa-ad’, I am going to be a vegetarian tonight, okay!” (this wasn’t a question, it was a statement). My son is one of the few people in my household allowed to get away with using the term ‘curry’. “Yes son.” I replied, quickly thinking what vegetarian dish I could serve him that fitted his urgent requirements. Monday is the one day when I get to cook what I want, how I want, and not what someone else wants me to, even if he is next to the almighty!! However, this is my son asking, so I must do it!! Once he’s headed off to school, I head off into the kitchen to cook for my son. Is it going to be potatoes, or cauliflower, or cabbage, or mushrooms, or . . . ? The list is endless and my mind is working overtime. One thing I know, for sure, is that he will eat anything I cook as long as it fits into the ‘all vegetable, no chillies and not too spicy’ category. So, I make my decision. It will be slow-cooked mung lentils or moong dal, with chopped, or puréed, spinach, tempered with black mustard seeds and kari leaf. 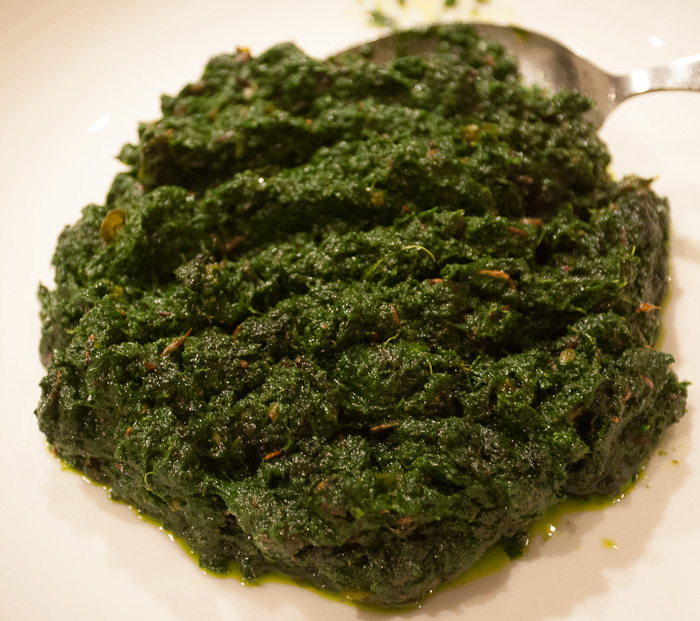 I will serve this dal palak with plain boiled rice. As I can’t help myself, and so that it looks good, it will be served on a banana leaf. I choose mung lentils because it is, now folks get ready for this, considered to be the Queen of all beans and lentils. 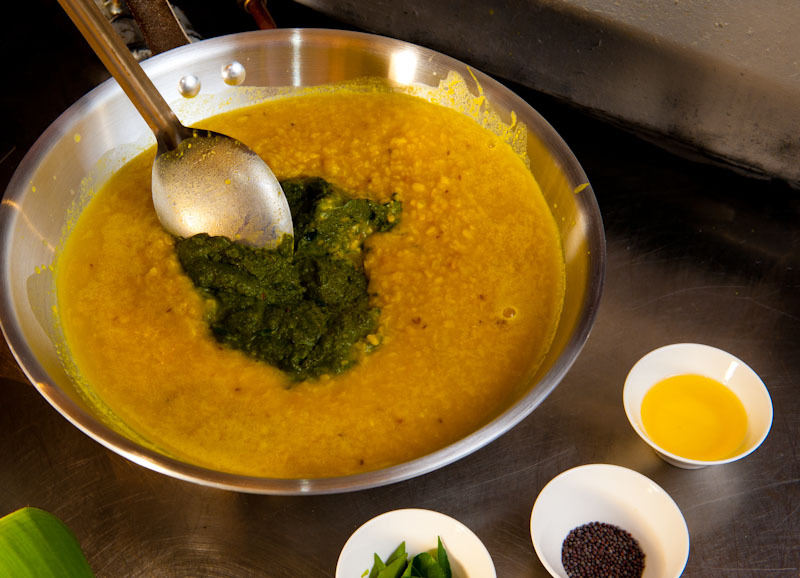 Moong dal, or mung lentils as they are called in the West, are a great source of potassium, which helps prevent blood pressure. One cup of cooked mung lentils is equivalent to eating two bananas a day (my son will be very happy to learn this as he bemoans having to take a banana to school for recess as he says it gets squashed!). Mung lentils also contain iron and copper, magnesium and zinc. Iron, as we all know, is extremely good for the blood; copper, on the other hand, helps produce haemoglobin and magnesium helps keep you calm whilst zinc helps us smell and taste the food! Mung beans are also known to prevent heart attacks, but if you’ve already had one, I’m sorry, but it’s too late to prevent one. Sprouted mung beans in Chinese cuisine are considered to be cooling for the body and are eaten during the summer months. 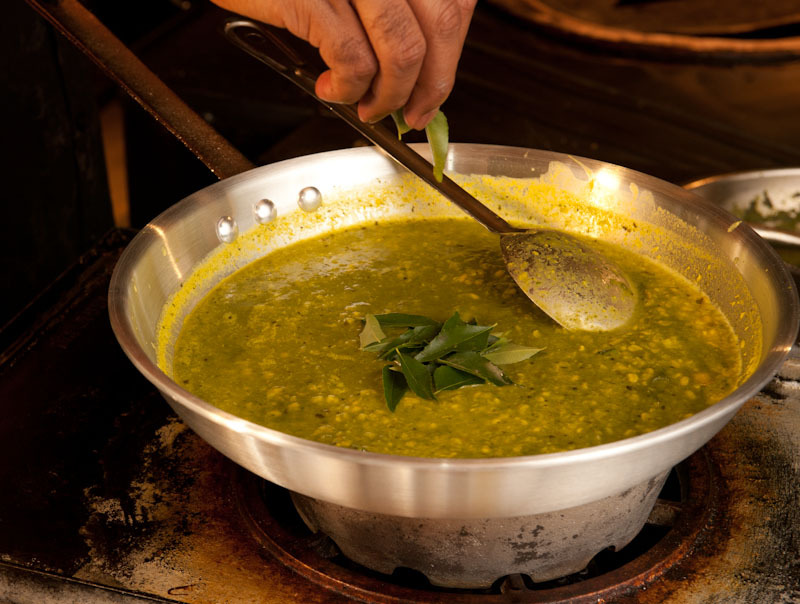 My mother would make a moong dal called moogache varan during the summer months when we lived in New Delhi briefly in the 70s. Mung lentils are also an excellent source of protein and contain more nutrition than eggs, fish and red meat. More importantly, the lentils are easy to digest and cause no flatulence, or far…ng, just what my son needs! So, in order to prepare this queen of lentils dish for the little king this is what I do. Please follow me. 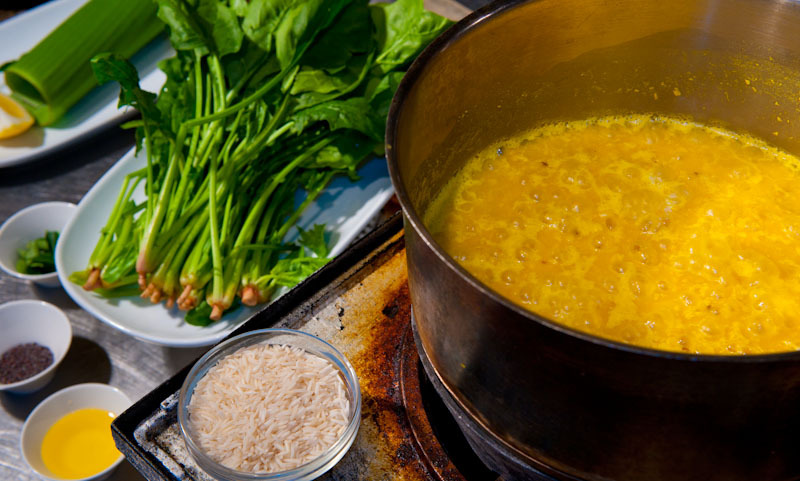 First off, I cook about 2 cups of mung lentils in plenty of cold water with a pinch of turmeric, so that they retain their colour. Once the water comes to the boil, I reduce the heat and slow cook the lentils until they start to break down. 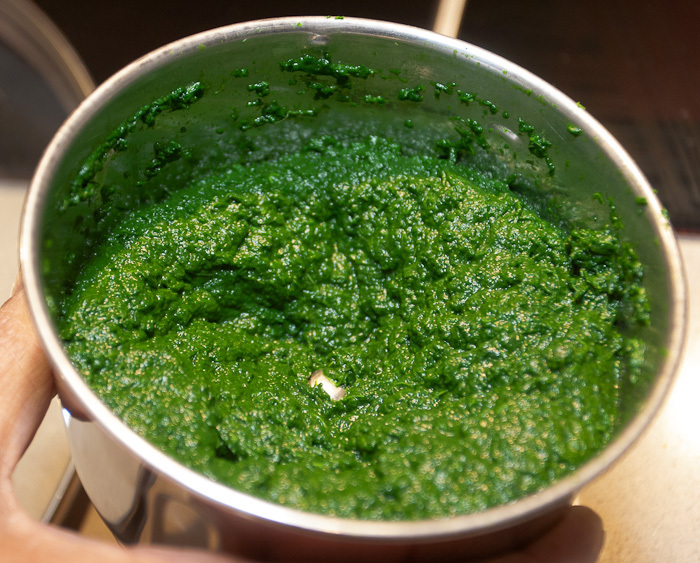 At this stage your spinach leaves, which have been washed in cold running water, are finely puréed (you can chop them beforehand, if you want) in a blender and are immediately added to the lentils. 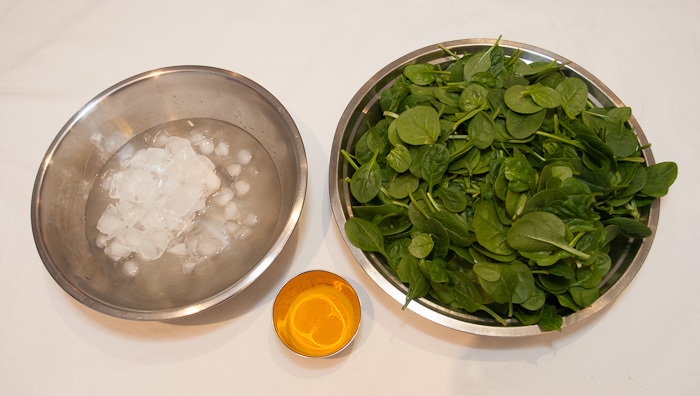 An aside, if you don’t mind my interrupting my cooking process, on spinach. 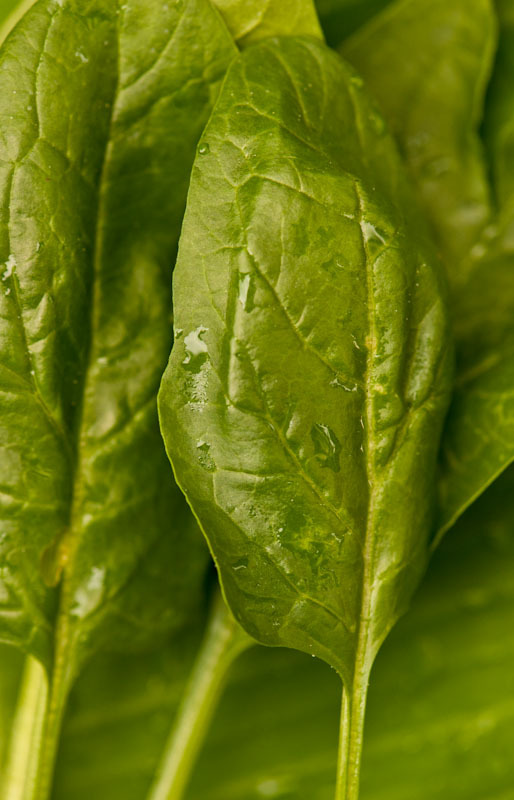 The spinach leaf is an ancient leaf that has its origins in Southwest Asia. It has been used in this area for a long time, even before it was known in the western world. As we all know nowadays, it is rich in iron and a great source of antioxidants as well as containing the vitamins C, A and B. 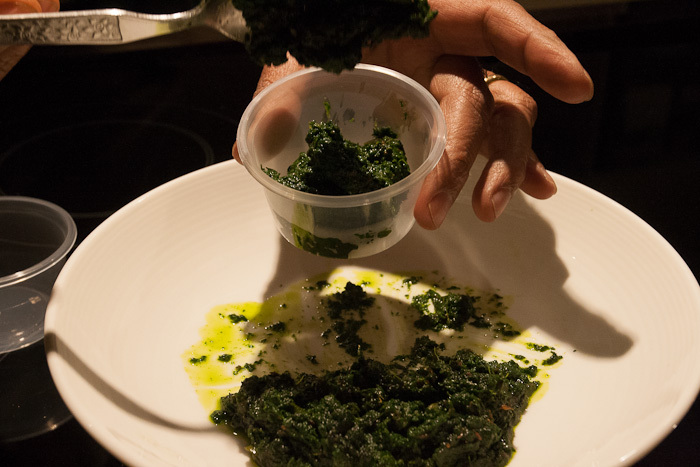 So, let’s get back to our lentils and spinach. 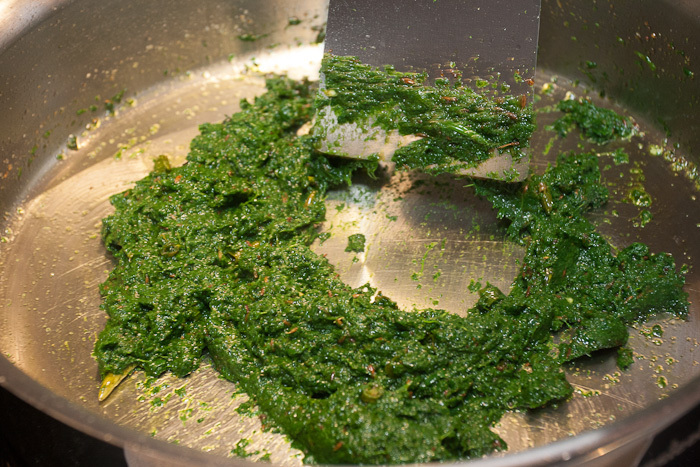 Once the spinach is added the salt goes in (I only use iodised salt a.k.a cooking salt), and then you fold the mixture once or twice. and it is now ready to have some flavours added to it, known as tempering! Well, at this point I have to be careful as my son has warned me not to make it too spicy and he doesn’t want any chilli either! 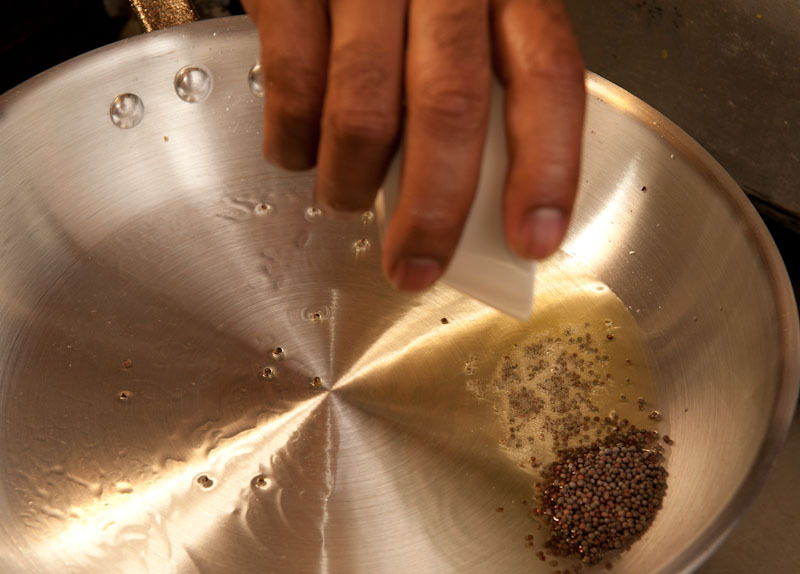 So, a good spice that can do the job of both without being overpowering is a spice you’ll all know called mustard seed! Mustard seeds come in two forms: either black or brown and yellow. For this particular dish I am using the black seeds. 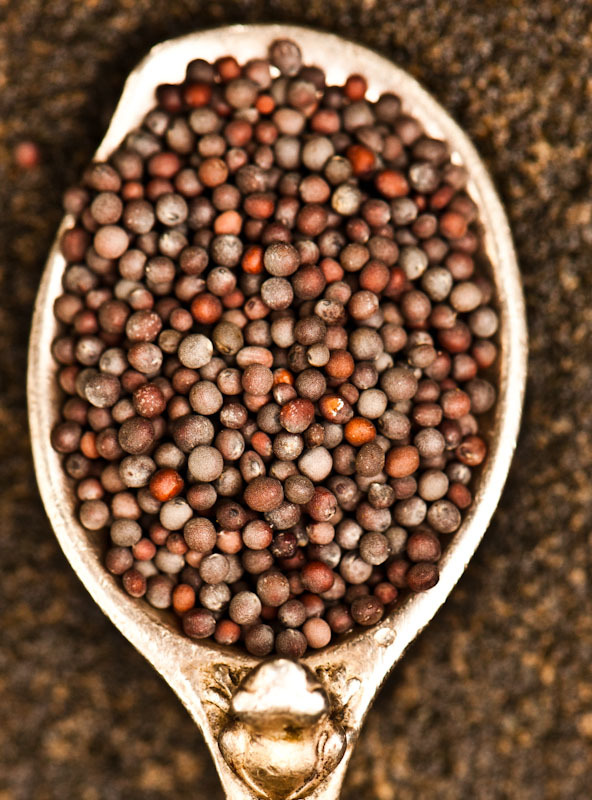 black mustard seeds aren't just black! 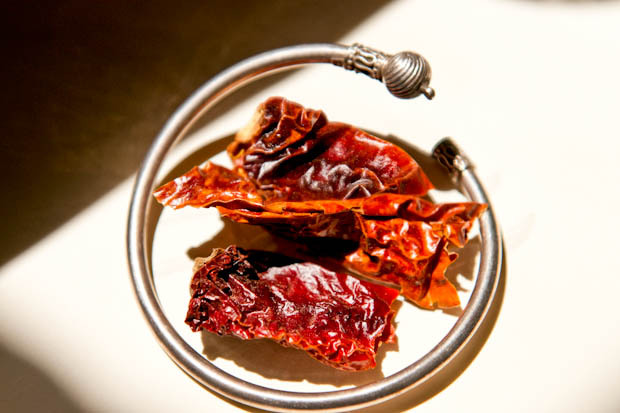 They have a slight pungency and bitterness and they are also called a pickling spice as they are often used to do this job. Excellent news! as the ‘pickling’ element will help preserve the dal, and in fact make it taste better the next day, if there are any leftovers!! Mustard is also a source of Omega-3 and Omega-6 which reduces the risk of arthritis as we get older, which I’m afraid is something none of us can escape. It is also great for the immune system! 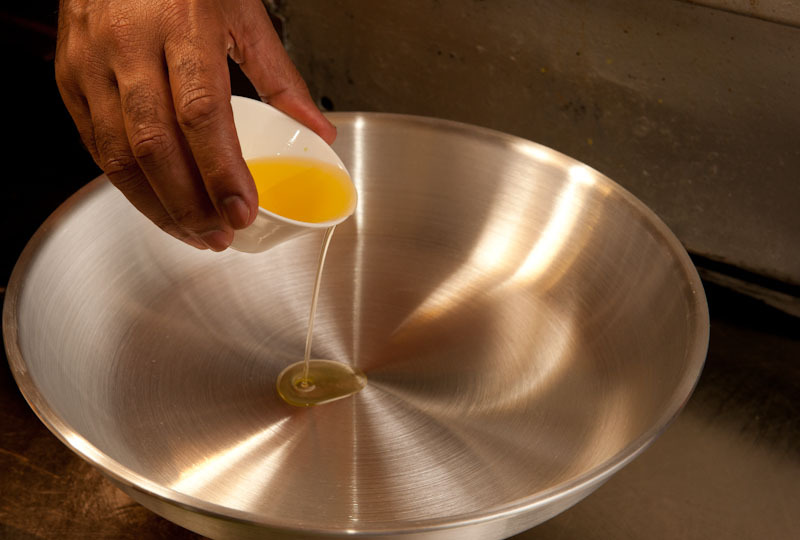 By the way, another aside whilst I’m getting on with my dish, did you know that Australia produces one of the best mustard oils in the world? 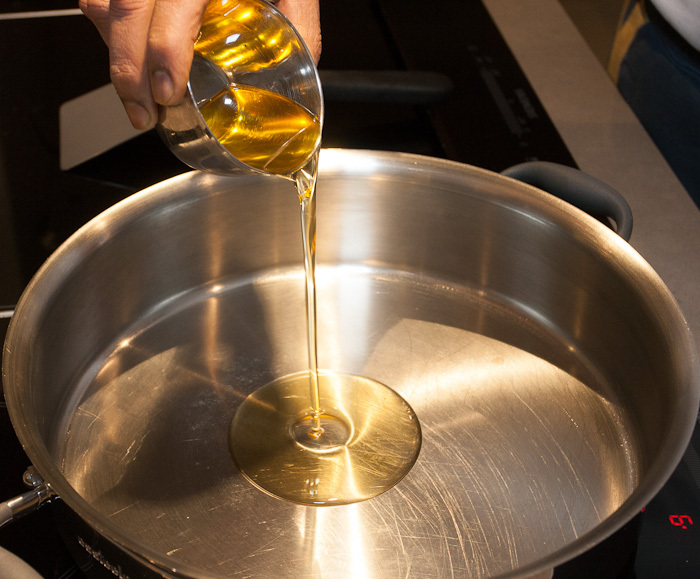 This oil hails from the region of Yandilla in Queensland and the oil is sold by that name. However, for my dish we are not using the oil just the spice. 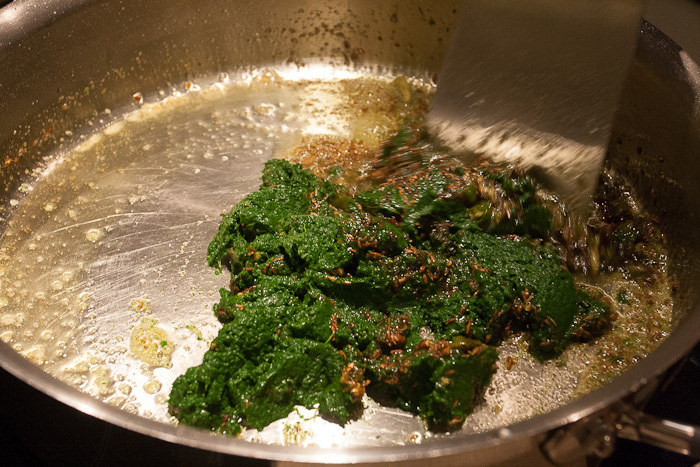 Mustard leaves are very popular in India and are eaten by women going through the menopause. 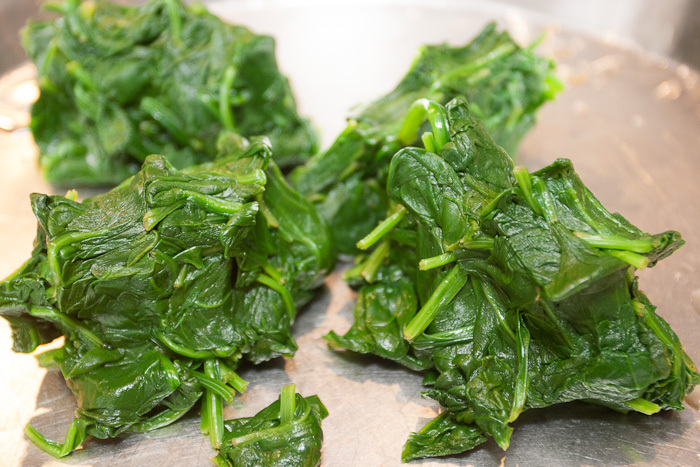 The leaf, called sarson, is rich in folic acid and magnesium. The first is good for preventing osteoporosis and the second for reducing stress and restoring sleep patterns. It is also a rich source of vitamin E which helps reduce the occurrence of hot flushes!! So, I need a medium for tempering. Ghee is good and is very cooling. 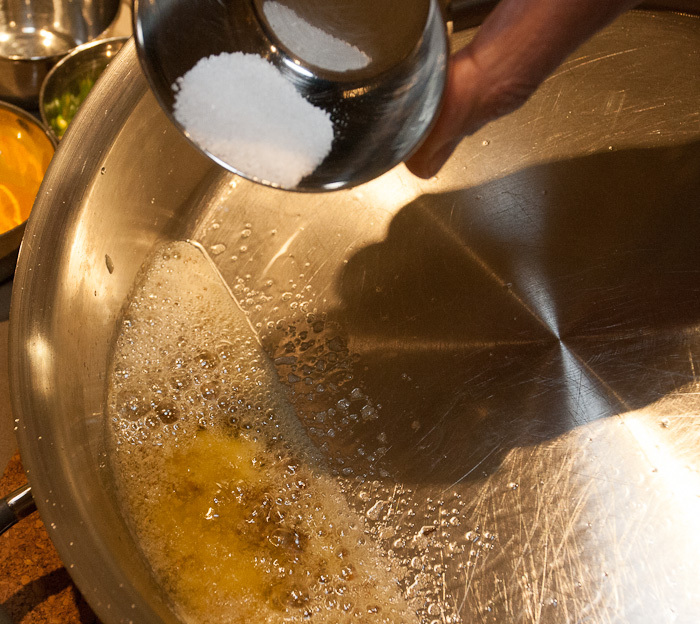 But, as most of you will know if you read my blogs regularly, I have never understood this medium of cooking, hence I prefer to use polyunsaturated vegetable oil, which is neutral. 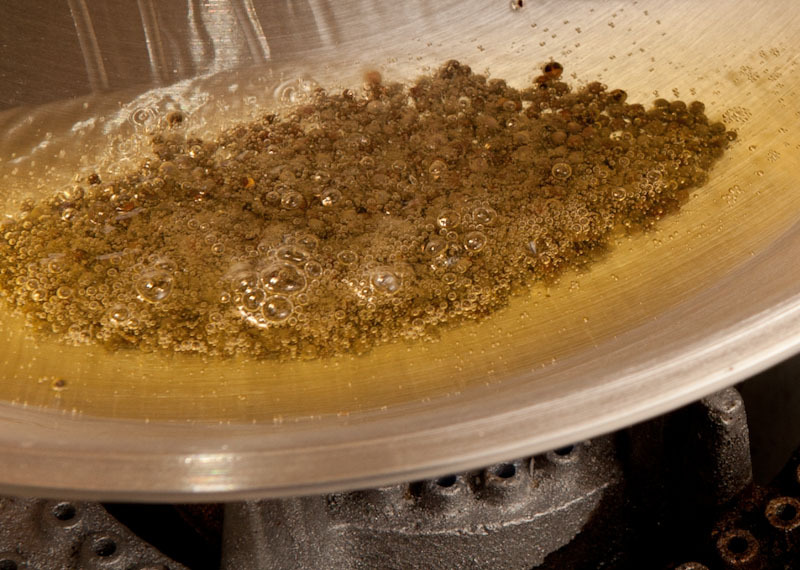 So, into the pan goes the oil. Just as it starts to smoke I remove it from the heat and add the black, or brown, mustard seeds. Then I let them pop. 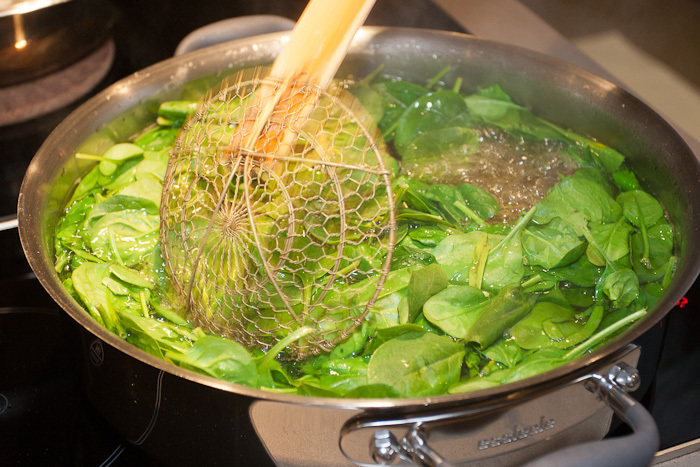 The hot infusion is now ready to be placed on top of the cooked dal-with-spinach-purée. But hold on a moment!! Yes, I’ve forgotten the second leaf called kari leaf or karipatta. 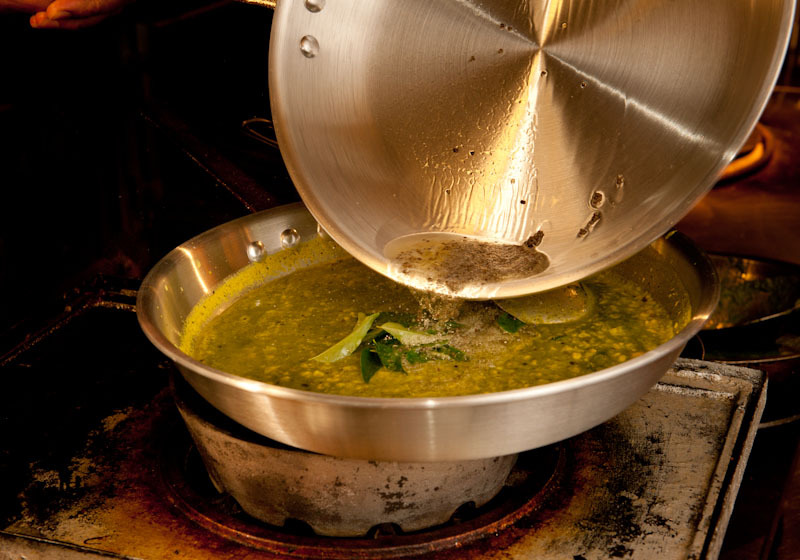 This leaf will give the dal its unique aroma which will permeate through the dal if added to the hot oil. I personally prefer to place the leaves on top of the dal. 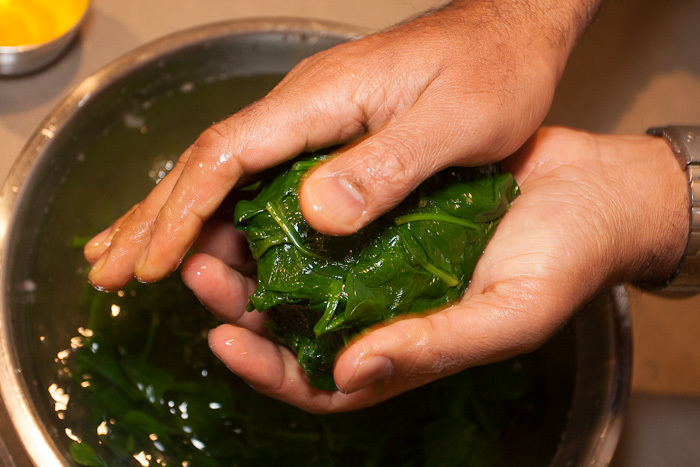 I then pour the hot oil onto the leaves. 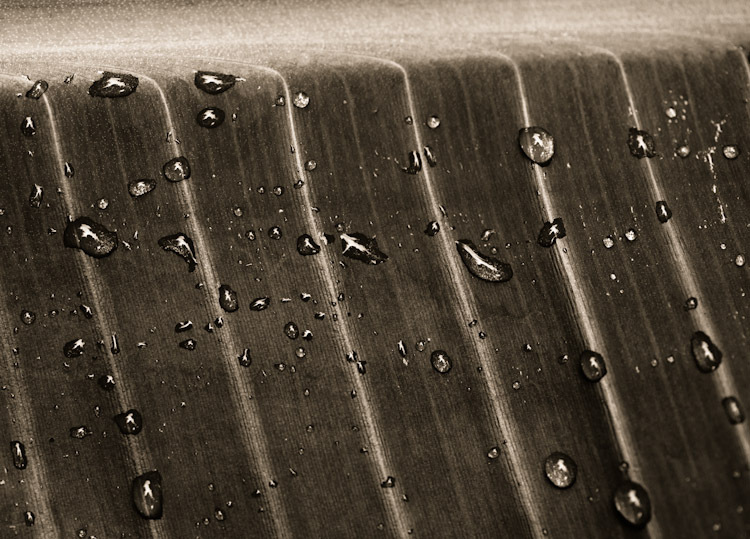 This makes the leaves ‘snap fried’ bringing out the volatile oils to the surface! 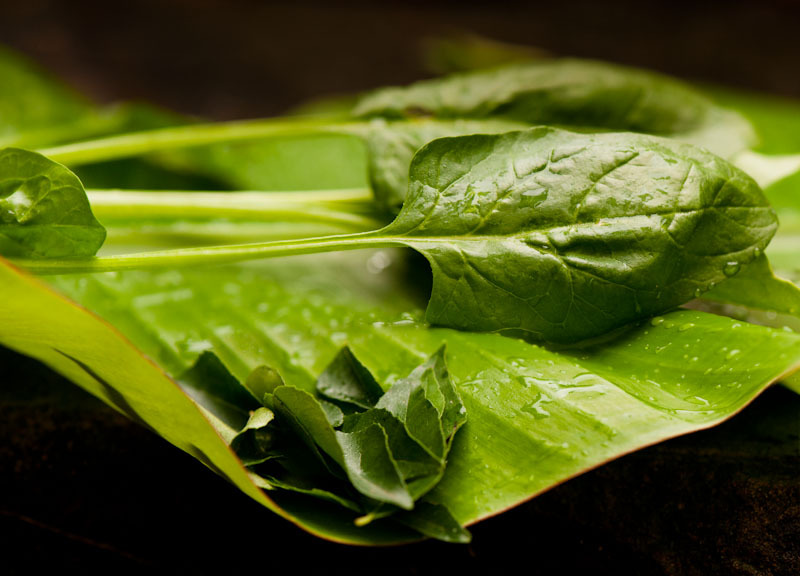 Curry leaf, as it is erroneously called, is good in helping prevent diabetes (we have known about this aspect of the kari leaf for a few years, actually a few thousand years but who’s counting?!). 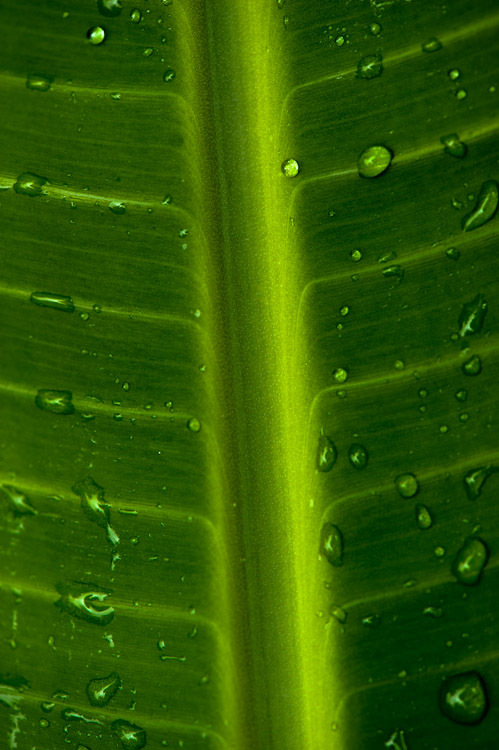 The leaf is used as a mild laxative and as a coolant to the internal organs. It can also be used a mild antidote for small insect and spider bites. We have two curryleaf plants on our balcony and in the summer months they prevent mozzies from coming into the house. 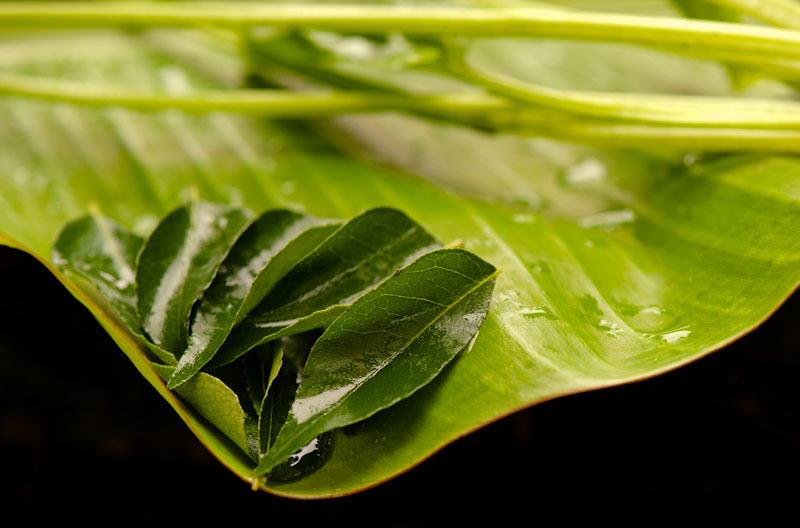 The leaf has yet even more uses in its prevention of bad breath as its essential oils are antibacterial! Finally, the rice is cooked (boiled or steamed), and at the moment I am using a polished grain called Sona Masoori, this is a polished grain that comes from the region of Andhra Pradesh. The grain of this particular rice is slightly thicker than Basmati but is easy to cook and half the price! 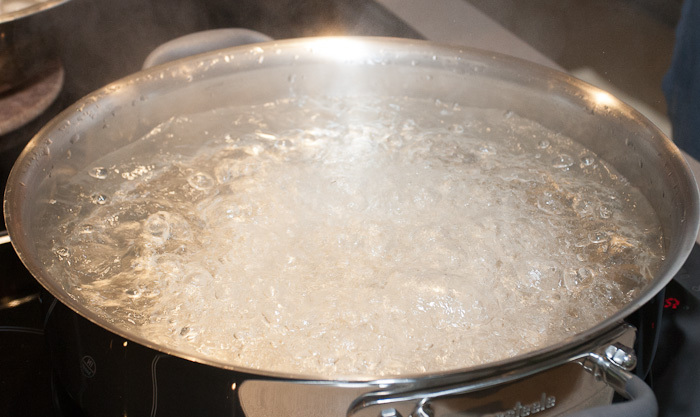 Also, if you cook your rice using the absorption method you simply use 3 cups of hot water to 1 cup of rice for a superb accompaniment. Nothing could be finer! So, we’re nearly there. My son has come home from school, he’s doing his homework in his bedroom (so I’m led to believe) and is waiting for his dinner. I’ve nearly finished too but I’ve one last part to do. My son likes to eat with his eyes first, just as all of us like to eat with our eyes first!! If it doesn’t look good, and doesn’t smell good, it can’t taste good, that’s his philosophy!! I agree. I place the boiled rice on a banana leaf and put the dal palak in a separate bowl, sprinkled with the juice of a quarter of a lemon. So, I serve the meal, call him to come and get it and wait for his reaction as eagerly as any mother/grandmother/parent!! He comes back for seconds in no time. Mission accomplished for this evening! 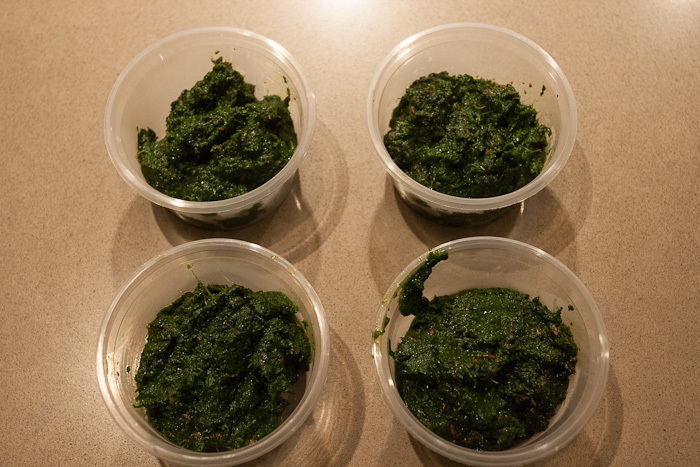 If you want to make this dal palak recipe at home and don’t want to have to read through the blog yet again, please click dal palak recipe for it in user-friendly form! Posted in Basics, Classic meals, Cooking, Recipes, vegan, vegetarian and tagged banana leaf, black mustard, brown mustard, chilli, cooking salt, curry leaf, dal, flatulence, foodie, ghee, haemoglobin, indian, iron, kari patta, kele ka patta, lentils, magnesium, moong, mung, mustard oil, mustard seeds, omega-3, omega-6, pickle, pickling spice, poly-unsaturated vegetable oil, pure, recipe, saag, sarson, spinach, sprouted mung, taste, turmeric, varan, vegan, vegetarian, zinc. Bookmark the permalink. Is your food southern or northern Indian; and if so, what are the basic differences?! Well, it is a valid question since the only two dishes that the whole world knew for a long, long time were masala dosai which comes from the south (mind you, there are at least 100 different versions of dosai) and tandoori chicken which comes from the north, mainly from the Punjab. 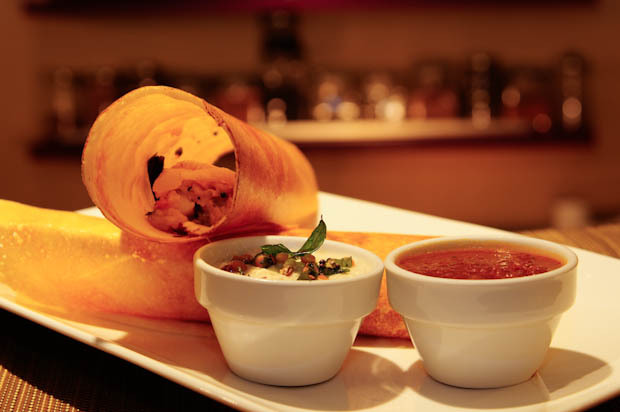 But really, Indian food is not just about dosai or tandoori chicken. These are just two dishes – so let’s leave these two dishes for the moment and get a larger picture of some of the main differences. Let’s start with the north, which includes all states above the city of Nagpur, which is predominantly a bread eating region, apart from Kashmir where the staple diet is rice. 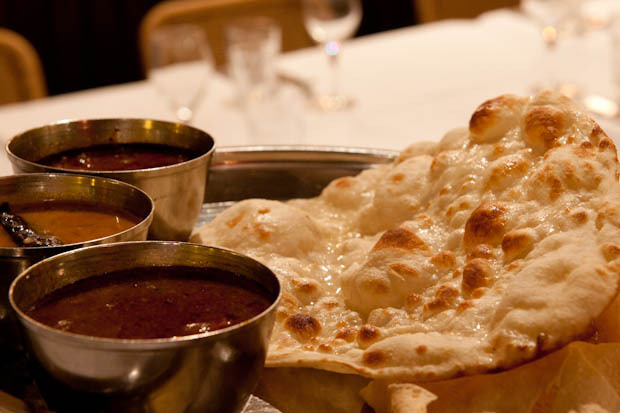 The fact that wheat is the main base means the dishes that accompany the breads, which can be as diverse as roti (which is made from wholemeal flour) or naan (which is made using plain flour), must be thick enough to be picked up or scooped up by the bread. Examples of a thicker dish are dal makhani or aloo mutter (potato and peas), hence the phrase gaada or slightly thick. To get to this gaada or slight thickness, ground nuts are added as the necessary thickening agent, and in some cases even ground caramelised onions are used.The south includes all regions south of Nagpur and it is predominantly inhabited by people of the Dravidian race. The region is full of rice paddies, and as such the staple diet is rice.This means that the accompanying ‘dishes’ must be slightly thin to soak up the ‘sauce’. 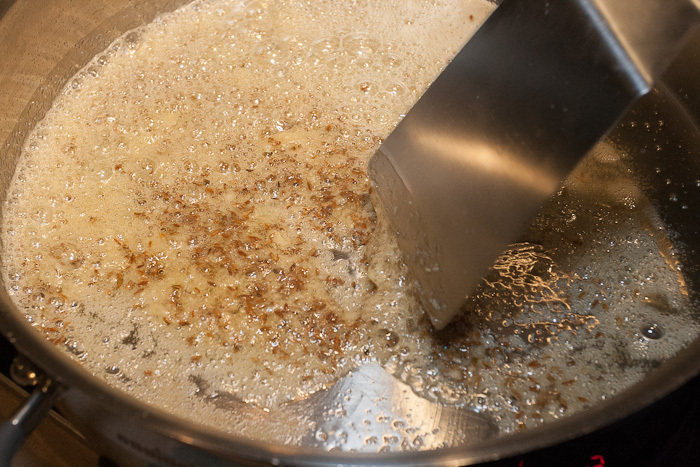 Hence southern chefs prefer to stay away from thickening agents like ground nuts, but they do use coconut to ‘hold’ the sauce together. The only exception to this practice is the Hyderabadi style of cooking that uses both kinds of nuts (peanuts and desiccated coconut).In the northern style of cooking, the most commonly used spice when starting to cook a dish is cumin. On the other hand it is black mustard seeds that take the top spot in the south. 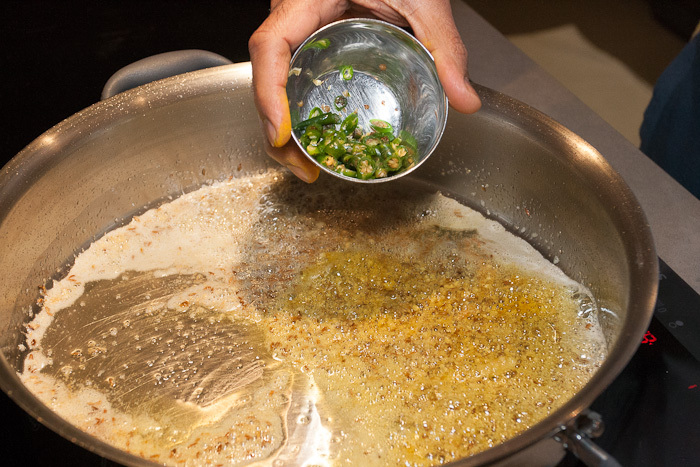 In days gone by, the medium of cooking in the north, especially in Kashmir, was mustard oil whilst in the south it used to be sesame oil (called gingelly oil). 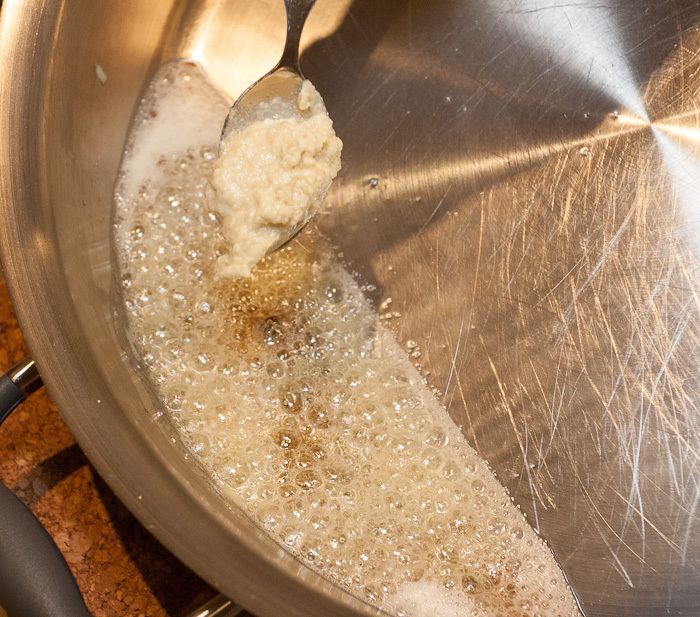 In other parts of the north, most people would use peanut oil as the cooking medium. 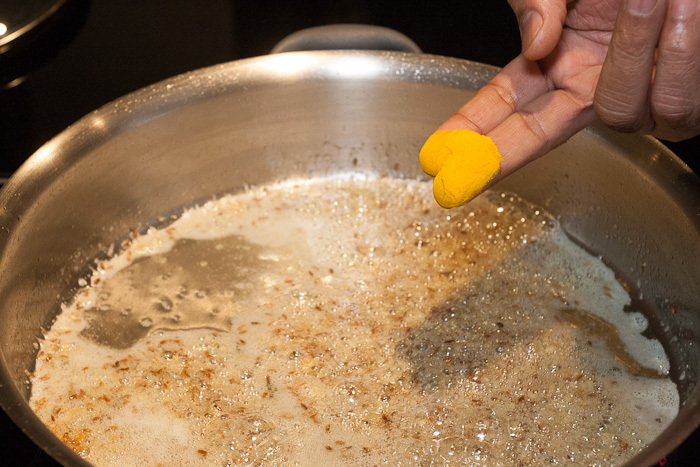 The myth that all dishes are cooked in ghee is just a myth as ghee was used only on special occasions and to cook some very special desserts like sooji halwa and jalebis or sakara pongal. 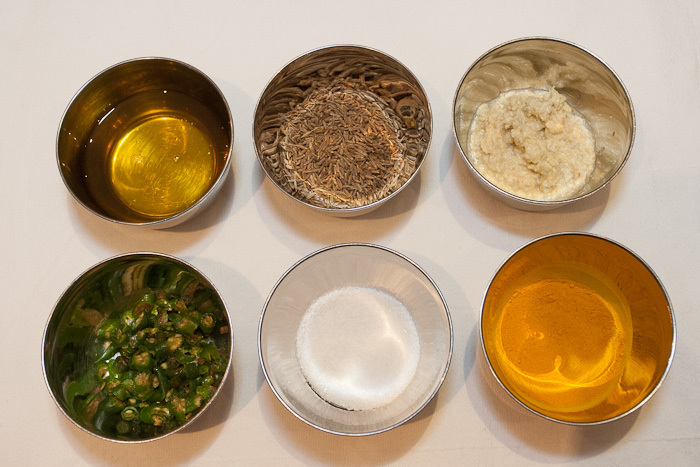 So, we’ve covered the main differences between the north and south for spices, oil and the carbs but what about spice mixes? 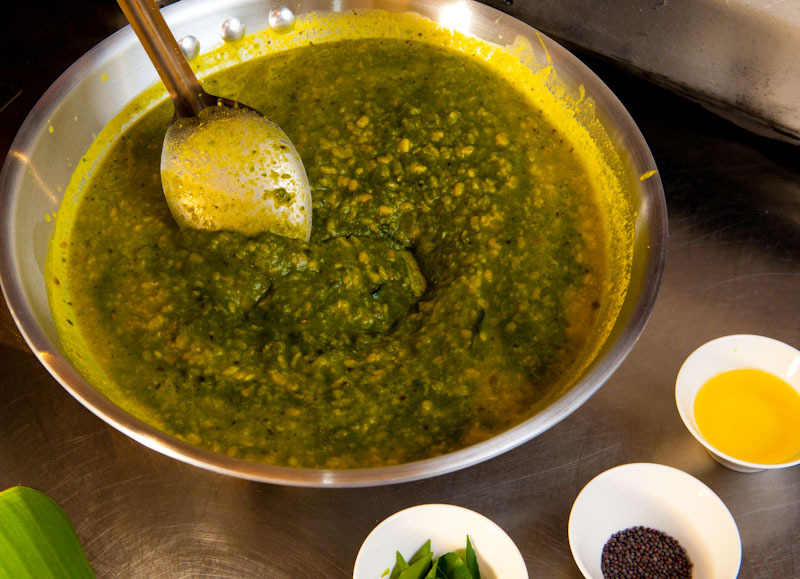 Well, spice mixes in the south are generally ground into a paste as in Coondapur masala, whilst in the north the meat is often marinated before being cooked as in palak murgh which uses garam masala as a marinade. Even in the prevention of flatulence there are different methods used: south Indian food uses asafoetida with its lentils as an anti-flatullent whereas fenugreek is used in the north for the same purpose! 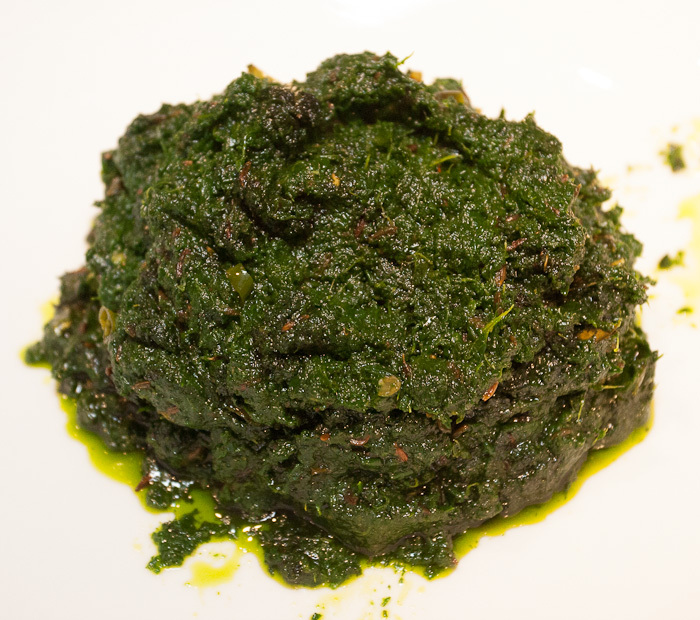 Kari-patta, also called curry leaf, is an integral part of the southern diet and is used in many forms. 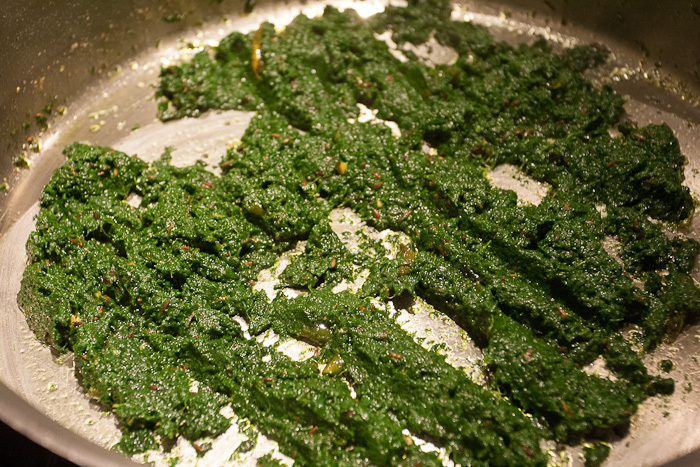 It is used in tempering, in spice mixes, chutneys and pickles. 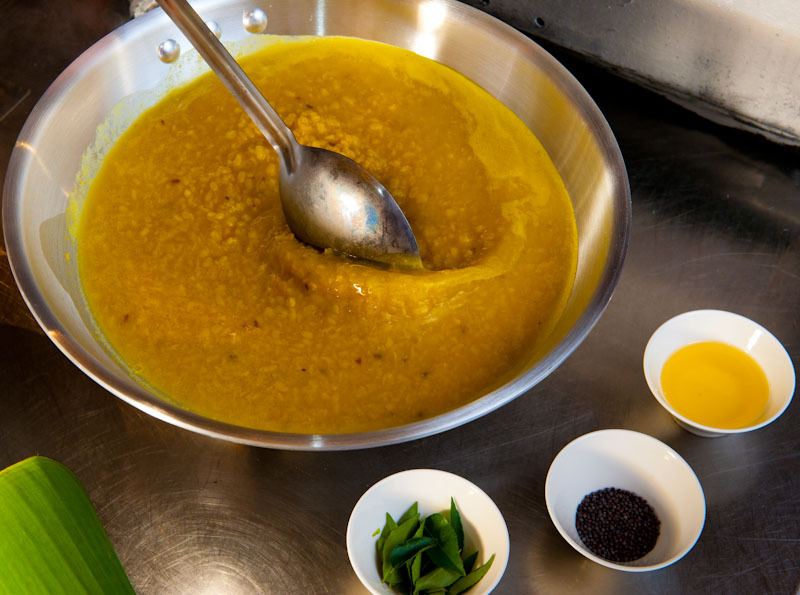 In fact my chef, Reddy, makes a ‘kariapak’ thokku which is full of flavour and if added to a simple dal it takes that dal to ‘outer space’! 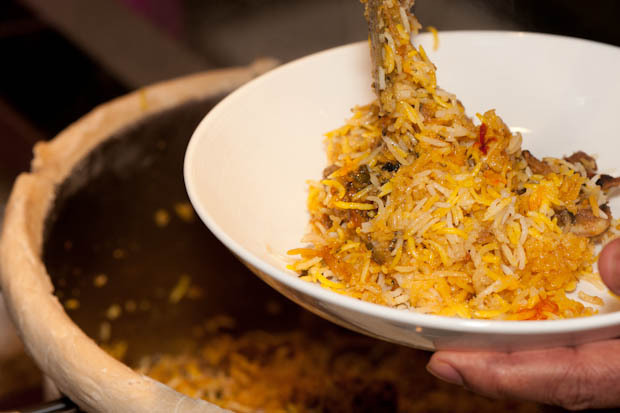 Southern ‘biryanis’ generally use the absorption method wherein the soaked rice is added to the partially cooked spiced meat. 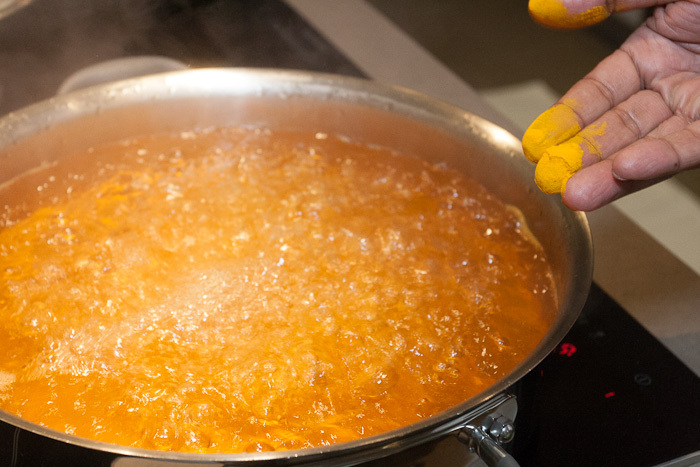 The rice is allowed to cook in the ‘sauce’ till all the moisture has been absorbed. The pot is then sealed and kept on burning firewood for dum. Northern style biryanis, however, use the ‘draining’ method of cooking the rice wherein the partially cooked spiced rice is layered upon partially cooked meat with herbs and spices. The lid is put on the pot and then placed in an oven for dum. Since the staple diet of a southern Indian is rice, the preferred variety is called Sona Masoori, an unpolished grain, whereas northern Indians prefer to eat basmati rice, a polished grain, on special occasions. 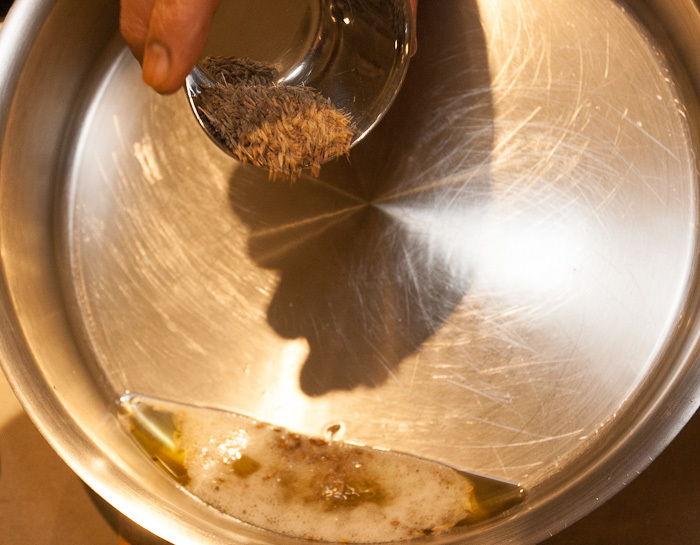 Southern style cooking uses tamarind as the souring agent. Again, more differences occur as yoghurt and tomatoes are used in the north. And the differences continue as dry chillies are used as ‘firing agents’ in the south whereas fresh chillies (a.k.a green chillies) do the same in the north. Rice and lentils cooked together in the north are called khichadi and are tempered with cumin and crushed garlic with fresh chillies which are added right at the end of the cooking. The southern version is called pongal and is cooked with whole peppercorns and tempered with, yes, you’ve got the idea by now, black mustard seeds, asafoetida and etc….! 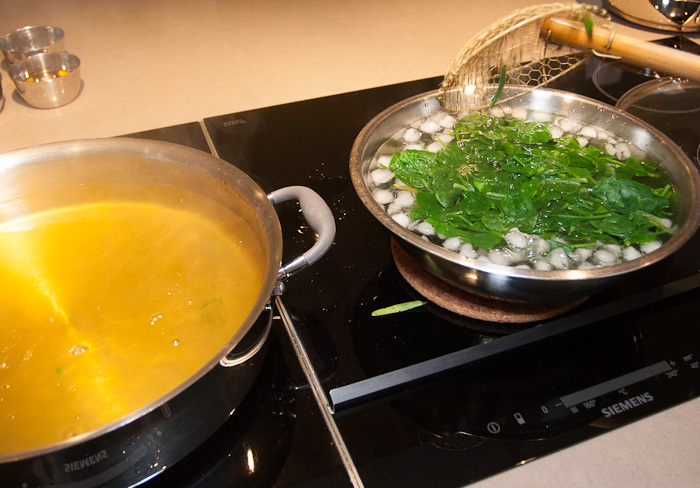 And just as you are getting the idea, both styles of cooking use turmeric. So, I guess there are no issues here as north and south both agree that turmeric is an integral part of, to use an umbrella term, ‘Indian food’ whether it’s from the south or north!! There are many more subtle differences but I’m writing a blog not a thesis, but to sum up, the most significant difference is that in southern Indian cooking chick pea lentils and white lentils (urad) are used as a spice during the tempering which is something that is unique to the south and is never seen in the northern style of cooking. Well, as for the cooking in my restaurant. 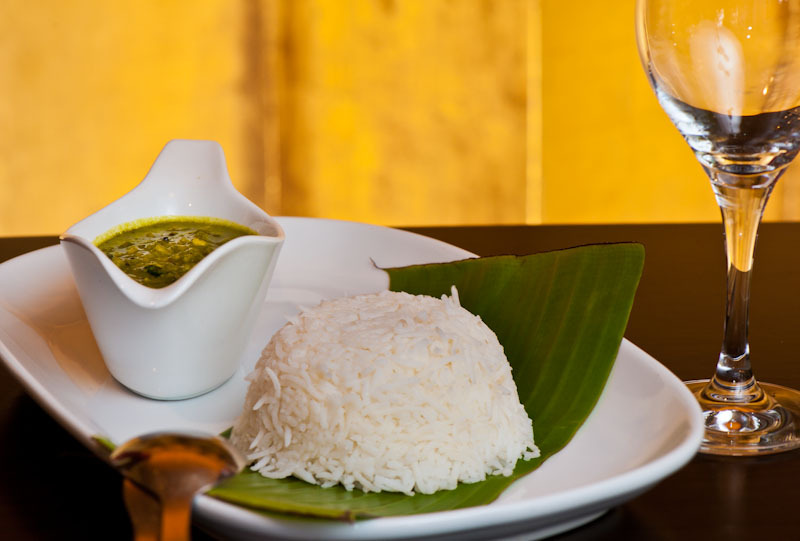 We change our menu every month and so each month we travel gastronomically around India going from one region to another which we then serve to you! So, one month it could be northern style dishes that we serve and the next, southern style. Or to put it another way using spices: dried chillies, mustard seeds and curry leaves could be used one month whilst fresh chillies, cumin and yoghurt and nuts are used the next! Or it could be a bit of both! 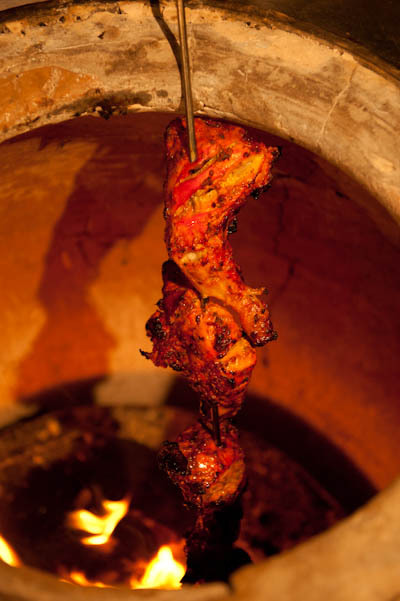 The ‘Hyderabadi’ style of cooking has absorbed, and uses, the best that the north and south have to offer!! Well, whatever the combinations are, be assured that our chefs, who are all proud of the different regions they come from, are always trying to show off their India and its vast array and highly intricate range of dishes of which I’ve managed to share a few with you. Also, I know, I know, there’s the central part of India, east and west and the coastal areas but that’ll have to wait for another time, folks! In the meantime, sticking with our north and south friends, see for yourself how different the dishes can be. 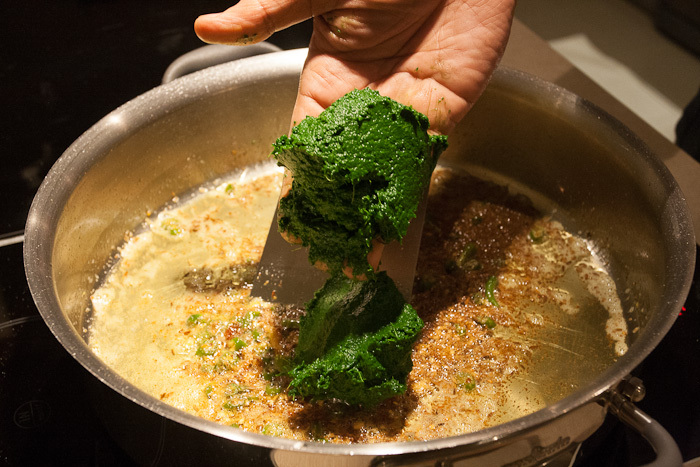 The following recipes I’ve chosen are classic dishes that represent well the north and south of India, respectively: palak murgh (a Punjabi chicken and spinach dish which marinades the chicken in garam masala) and kane gasi a southern-style fish dish that uses Coondapur masala and is made in Mangalore. Posted in Basics, chicken, Classic meals, Cooking, fish, Recipes and tagged asafoetida, bayleaf, black cardamom, cardamom, cassia, chick pea lentils, chicken, chillies, clove, coconut, coondapur masala, dal, fennel, fenugreek, fish, foodie, garam masala, gingelly oil, indian, lentils, mace, nut meg, peanutoil, pepper, recipe, sesame oil, spinach, yoghurt. Bookmark the permalink.